Assemblymember Wendy Carrillo (D-Los Angeles) presented House Resolution 69 to the Assembly Committee on Judiciary on the eve of an Assembly Delegation mission to El Salvador. 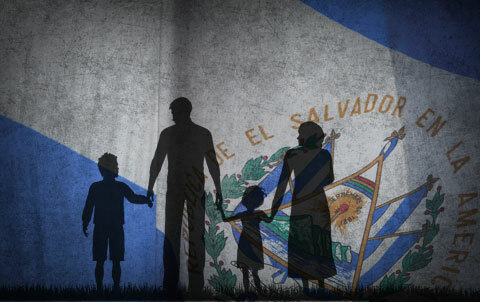 HR 69 calls for the President to reverse his decision to terminate the Temporary Protected Status (TPS) designation for El Salvador. “As an immigrant from El Salvador, it’s my duty to shine light on President Trump’s misguided decision to end TPS,” said Assemblymember Carrillo. SACRAMENTO, CA – Assemblymember Wendy Carrillo (D-Los Angeles) introduced Assembly Joint Resolution (AJR) 11 on Monday, urging the federal administration and Congress to enact legislation to provide a permanent solution for immigrant youth and individuals with Temporary Protected Status (TPS). AJR 11 supports House Resolution (HR) 6, which reintroduces the Dream and Promise Act of 2019 with protections for TPS and Deferred Enforced Departure recipients. (Los Angeles, CA) — Assemblymember Wendy Carrillo (D-Los Angeles) is pleased to announce the California State Park Executive Committee’s approval of the construction of a site honoring Northeast Los Angeles veterans. The site will feature the installation of three flagpoles consisting of the American, State of California and City of Los Angeles flags and a stone with a plaque that reads “El Rio Veterans — In Honor of Those Who Serve” showcasing the five military insignias. SACRAMENTO, CA — Assemblymember Wendy Carrillo (D-Los Angeles) announced Monday that Montecito Heights resident Bricia Lopez was named the 2019 Woman of the Year of the 51st Assembly District. The Woman of the Year honor celebrates achievements of trailblazing women throughout the state during Women’s History Month. SACRAMENTO, CA – Assemblymember Wendy Carrillo (D-Los Angeles) presented Assembly Concurrent Resolution 27 (ACR 27) honoring the legacy of civil rights, labor and LGBTQ leader Bayard Rustin this week. Born on March 17, 1912 in West Chester, Pennsylvania, Rustin dedicated his entire life to advancing justice and dignity for all. He was a close advisor to Reverend Dr. Martin Luther King, Jr., organized the March on Washington for Jobs and Freedom and promoted equity through nonviolent protests. An openly gay African American, Rustin understood the intricate intersections of marginalized identities and fought tirelessly for progress and opportunity. His extraordinary efforts promoted unity and transformed the landscape of activism.